Gone are the flirtatious and unsolicited offers of credit cards from financial institutions I’ve never frequented. Those regular little love notes from the AA, offering me vehicle coverage that I didn’t want or need, now seem to be a thing of the past (sure I wasn’t going to buy it – but sometimes it’s just nice to be asked, you know?). Even the takeaway menus from gastronomic ‘jack of all trades / masters of none’ seem to be on the decline (burgers, pizzas, curries & kebabs all under one roof?…wow!). Indeed, the pinnacle now seems to be the regular bank balance updates from an unnamed financial establishment (for the purposes of their anonymity we’ll refer to them by their initials only; ‘H.S.B.C.’) including one for a locked account that I can no longer access, which boasts a princely sum of £5.12; the sting in the tail being the £5 admin fee it would take to unlock said account. Given my decline in the postal popularity polls, I prefer to keep my paper wealth & maintain my pen pal relationship with the bean counters! There was a slightly nervy moment recently where I thought my prosperity amongst the written word had changed for the worse; a ‘Dear. John Letter’ turned up at my door! Had my gin-loving antics proved too much for my eternally patient wife?! Was a juniper soaked life of solitude on the horizon? !…luckily, on closer inspection, it just turned out to be a letter meant for my neighbour John, that had been inadvertently delivered to the wrong address. Phew! (Though, in a cruel twist of fate, it turned out that the letter was from John’s girlfriend. And she was leaving him!). If there was one concern I’d had about becoming a new parent, a role very recently acquired, it was that my social days were numbered! No longer would I be propping up bars & ordering fancy cocktails to suit my mood. Would I ever find out why that horse had turned up with a long face?! But all these fears were put to bed by a package that arrived on my door step the other day, that would see my standings in the postal league tables completely reversed! If you can’t get you to the bar, bring the bar to you. And that’s exactly what my new friends at ‘MicroBarBox’ are doing. Pull up a stool my friends – there’s no last orders here! They say you should never judge a book by its cover. But then again, this isn’t a book and the cover looks awesome! I was kindly sent the August Cocktail Club Box to sample and review. And with the lid excitedly removed, brushing aside the metaphorical velvet rope, we’re in to the VIP area. And what a treasure trove of delights await! MicroBarBox really is a case of ‘it does what it says on the tin’ (well, box in this case…) describing themselves as a ‘bar in a box’. What? You want to know more? Ok! MicroBarBox is an online alcoholic drinks service that can be purchased as a one off package or as a monthly subscription service (options of 3, 6 & 12 months) delivered to your door (note: currently only available in the UK). And it’s a tall glass of variety, with a twist of versatility, that are key to MicroBarBox. With individual boxes priced between the £30-£50 mark, alongside a whole host of subscription & experience packages available to make a broad range of cocktails, as well as more specific bundles across the broader drinks spectrum including gin, vodka, whiskey, rum, wines & fizz; there really is something for everybody! Whilst the contents of the monthly subscription boxes are kept as a surprise, be rest assured that whichever box you order will have sufficient ingredients to make 4-5 drinks, which complement each other in a way that allows you to experiment with mixing & pairing the various potions within. And the versatility doesn’t end at the content of the boxes – the service itself is also able to be flexed and tailored to your needs! It also really lends itself to the world of gifting! Feeling generous? Why not take out a subscription for a friend or loved one? Or if it’s for a more distant relative or for that friend who never did return that ‘Grey’s Anatomy’ boxset you ‘lent’ them?! Simply gift them one of your monthly subscription boxes, by diverting the delivery address for a selected month (and perhaps drop a passive aggressive hint about American hospital dramas in to the Birthday card…). Anyway, back to the fun stuff & what we all want to know more about; the cocktails! You’ll have very likely at least heard of, if not seen, the 1980’s classic movie ‘Cocktail’ starring Tom Cruise. Well, something I’ve heard time and time again is that I look absolutely nothing like Tom cruise. I’d argue that if the lighting is just right (i.e. ‘off’) there are certain similarities, but that’s a debate for another day. As I stared wide eyed at my newly stocked back bar, it was a case of ‘where to start? !’ Luckily, MicroBarBox packages all come with a natty cocktail menu to offer you a little guidance along the way. And in case you get a little peckish along the way, a bag of Joe & Seph’s ‘sweet & crunchy Coconut and Chia Popcorn’ is chucked in for good measure! And let’s just take a moment to appreciate how good that popcorn was – cinema visits will never quite be the same again! What I really like about the kit from the get go is that the mixers follow the natural approach, avoiding the nasties and focussing on filling you glass with flavour and fun, rather than sugars and synthetics. First off, I went for the ‘Melon Patch’; Combining the Creme de Melon, vodka, melon water and fizz. This is MicroBarBox’s take on what it might taste like if you fell mouth first in to a watermelon! Bright, refreshing, and surprisingly smooth (despite being the biggest hitter in terms of boozey inclusions)! This one does what you’d expect – 50/50 on the vodka and Creme de Melon to create a playful take on a cocktail classic. Now having enjoyed the Melon Patch, I’ll be honest. This one wasn’t for me…The fluorescent lime green haze glowing from the glass looks super cool, and is bright enough to light up the room! But to my pallet, this was a little too sweet and overpowered by the melon kick. That’s not to say that this won’t appeal to some and be the favourite of others. But being a sucker for a classic gin Martini, I struggled to get on board with this shorter powerhouse. Tequila. Hmmm. Some love it. Some (me…) are reminded of misspent nights of mischief and subsequent days of regret! But I was very pleasantly surprised by the Paloma! Sure, it sounds simple; empty the tequila and pre-bottled Paloma in to a tall glass with ice & enjoy. But enjoy I did! The grapefruit is sharp and bright, but without being too fierce. There’s a sweetness to the juice, but without the faux sugar hit. And with a delicious rounded saltiness to the background, and a slice of fresh lime thrown in to the mix, it all comes together to play in perfect harmony with the big hitting tequila to create a Margarita-esq sunrise in a glass. Delicious. This is where I got really excited. GIN! JJ Whitley Elderflower to be precise, and one that I was yet to try! The gin takes the classic flavours of elderflower and a pinch of spice from gentle warming cinnamon, to create a delightfully rounded summer evening sipper. And in replacing your classic tonic with a slug of blisteringly cold fizz, the Prosecco helps to elevate you cocktail to pimped up proportions. For me this was simple. Classic. A winner. The cocktail boxes are great fun! But if you’re a gin fiend like me, you may be wondering what else is out there to satisfy your juniper persuasions. Don’t worry – MicroBarBox have got you covered! Four gins, paired with three different Folkington’s mixers, to make a variety classic and tasty Gin & Tonics. Seven diverse gins, alongside four premium mixers from Folkington’s & Fever-Tree, to allow experimentation across a broader range of the category with some really stunning inclusions (the 6 o’clock & Martin Millers additions being my pick of the bunch). Here, 4 great gins are included, with the respective mixers & ingredients, to make four awesome cocktails, with pictorial instructions to guide you through a classic G&T, Negroni (my number one gin cocktail! ), an Elderflower Collins and a Rhubarb Gin Fizz. You should also be sure to check out the ‘Gin Tasting’ experience package (available in 3 or 6 months options) as a brilliant way to explore the rapidly expanding gin category. Were any of the ingredients included in my Cocktail Club Box particularly ‘off the wall’? No, not particularly. Most people like to see themselves as a closet barman or woman. But let’s be honest; it’s an expensive game! Sure, you could go out and spend a few hundred pounds stocking up your kitchen cupboards with bottles of booze, and the various accompanying bitters. Not to mention the mixers. But then what? You host a BBQ and find your feet knocking out one or two comfortable cocktails. Only to find at the end of it that you’re left with half full bottles of everything and no room in your cupboards. Now where are you going to put your family size Monster Munch multi-pack?! Worse still, you decide that you want to branch out to a few new cocktails. But it turns out that the ingredients you need aren’t within the bottles you’ve so diligently stockpiled! (Oh no! £££”). At the end of it all you’re left feeling even fuller with bitterness that that niche bottle of bitters that you purchased never to be used again! Here’s where MicroBarBox comes in to its own. MicroBarBox aim to ‘introduce members to new brands as well as new mixing combinations using familiar brands’ and whilst you may recognise some of the bigger boys, some of the products are genuinely from small batch UK distillers, that you may struggle to find elsewhere. And whilst the products won’t necessarily please every booze connoisseur out there, I can promise you something – mixing the cocktails, with the user friendly instruction card, is easy and most of all; FUN! And that’s exactly what the brand aim to be. And if at the end of your experience you find a few cocktail family favourites that have you wanting to rush out to buy the fuller bottle equivalents, then head on over to the MicroBarBox ‘Bottle Shop’ where you’ll find everything you need and more! After all of the experimentation, you know you’ll be buying something that you’re really going to love. I’m sure you’ve heard the line from bouncers a plenty at the end of an evening; ‘you don’t have to go home, but you can’t stay here’?! Well, with MicroBarBox you’ll already be at home. Both literally in your house as well metaphorically speaking; home really is where the bar is. If you like the sound of MicroBarBox and want to give it a try for yourself, I have an exclusive discount code that you’re very welcome to use! 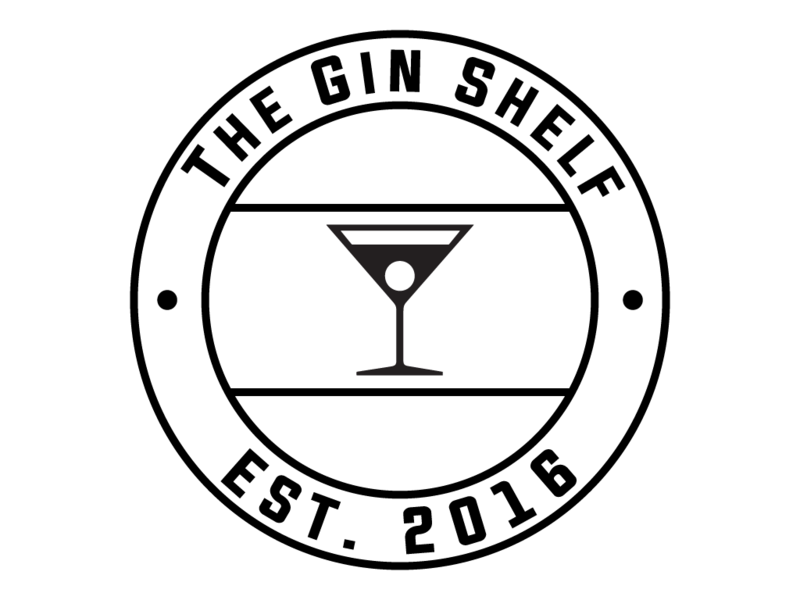 The code ‘GINSHELF5x3’ will give you £5 off your first three monthly boxes, saving you a total of £15!